Moving violations in North Carolina may come with driver's license points attached to them. A large accumulation of points can possibly lead to the suspension of a driver's license. The consequences, like license suspension and the assessment of points, can be better understood after being explained by an experienced North Carolina traffic lawyer like those that populate Powers Law Firm, PLLC. The driver's license point system in North Carolina can be complicated. On the surface, it may seem straightforward: certain traffic violations have the potential to garner points that can be added to an individual's driving record. The government may use these points to determine the safety level of each person's driving habits. If a person earns enough points, the North Carolina Division of Motor Vehicles can possibly punish him or her with license suspension. A single North Carolina traffic violation can possibly garner the offender anywhere from one to five points, sometimes more in certain circumstances. If a driver manages to receive 12 points on his or her license within a three-year period, license suspension is a possibility (but not a certainty). First-time suspensions can last 60 days, while second- and third-time suspensions might earn longer periods of time. These can possibly lead to a suspension of up to six months in the case of a second-time offender and up to 12 months in the case of a third-time offender. After the first suspension of a license, it may only take eight points in a three-year period for a driver's license to come under the threat of suspension. Here are some of the violations that can possibly lead to points on a driver's license: Speeding in excess of 55 miles per hour, aggressive driving, littering while in a motor vehicle, no liability insurance, failure to stop for a siren, running a stop sign, running a red light, reckless driving or passing a school bus that is picking up or dropping off children. These are not the only North Carolina traffic violations that might lead to the acquiring of points on a driver's license. Some of them, such as aggressive driving and passing a stopped school bus, can also potentially lead to the offender have five points added to their license. That's almost half of the amount that might put a driver's license in jeopardy of suspension. Points on a driver’s license can be reported to their insurance companies so that company can assess the risk that a driver may present. Some people who have points on their driver's licenses might have to pay higher insurance rates on their vehicles. In North Carolina, drivers may have the option to attempt lessening points by taking a Driver Improvement Clinic course. This allows some that are at risk of having their licenses suspended to possibly experience a bit of leniency. Traffic violation offenders may choose to look to law firms Powers Law Firm for compassion and legal advice. 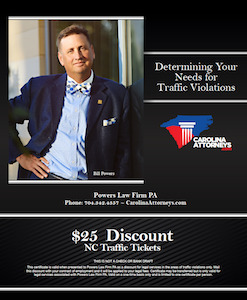 Our lawyers have the knowledge and experience that may help drivers better understand North Carolina traffic laws and the consequences that can follow if they are violated. 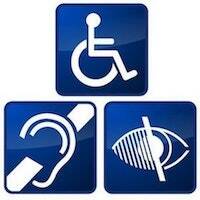 Hey, this is Bill Powers, and I appreciate checking out our website. This particular content, this page, this video, Driver's License Points in North Carolina, is one of the areas of the law that we're, in our website, that we're always working on. We have a ton of content on this if you'd just look around where we explain and give you links to DMV, and different insurance groups. The reason we have to keep working on it is that one, they keep changing things up on us a little bit. And two, it's just extraordinarily complicated, and it is so fact specific, and there's so many different rabbit paths that you could go down, we almost have to talk to you in person and ask you a series of questions. DMV points, and this is just our internal nomenclature, it's what we call it. I'm referring to the Department of Transportation Division of Motor Vehicles in North Carolina. Everyone … well you probably realize, that when you get your driver's license, if you get convictions for certain type of traffic offenses you get points. If you get too many points, you lose your driver's license. You get revoked, you get suspended, you get told you can't drive for a period of time. You may have heard of the 12 point system, and some type of offenses are more serious, and you get more points. Some of them, like a DWI, use up all your … it's like using up your nine lives as a cat, you use up all 12 points at once. I see this in traffic law, where people in our culture, in our society, we're DIY. 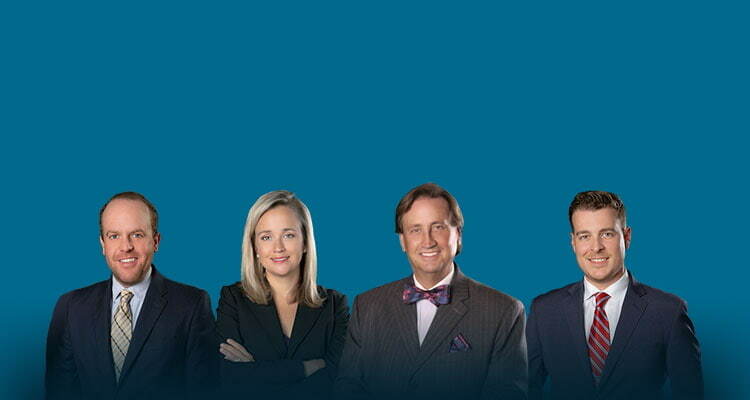 We're do-it-yourself, where you don't really see the value of retaining an attorney. I get that. You hear a lot of see the value of retaining an attorney and I get that. You hear a lot of anecdotal evidence and legal advice, especially in traffic law, is not what I can a fungible good. It's not a fungible item. It's not something that you necessarily want to bid the lowest price on. When it comes to your driver's license, it's amazing how minor a traffic ticket is until you get the major insurance increase, or you get the letter from DMV advising that you're being revoked or suspended. We tend to use those terms interchangeably here in the office, but there may be technical differences that would be helpful for you to know. Long and short, DMV points are set by the general statutes of North Carolina. We have something in North Carolina also referred to as the SDIP, that's an acronym for Safe Driver Incentive Program, where you are rewarded for good driving. I think that may be pretty close to the language that they use in the statute. The DMV is looking at the issuance of points for convictions of … It could be an infraction. It could be a relatively minor criminal offense. It could be … Certain types of felonies have DMV impact. It also could be insurance points, which is also ruled by statute, so we need to get a global look at everything. We ask a lot of questions when it comes to DMV points, issues, and tickets. I've been doing this about 25 years now, and I still, with tickets, pull out the books. I was talking to someone yesterday. I pull out the book and I say, “Let's check these points and let's check your record. Let's run an official record.” That's something I think is very, very important. It's not required. There are companies out there that offer records for a discounted fee. I just rather trust getting the record from DMV. We have an account with them. We type in your name and date of birth and Social Security Number. We pay them a certain amount to run your record, and we look officially what's on your record so that we can make an informed decision. The best decisions, I think, are informed decisions. They're based on research. They're based on knowledge and information. If you want to know more, please check out this website. We've got a ton of content on the blog. 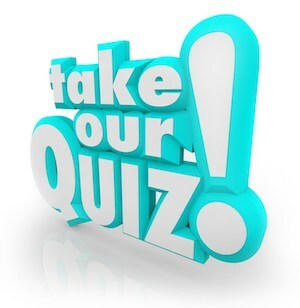 We got, as I mentioned, quizzes that you can take, and we have the statutory links and references, and still, it wouldn't hurt for you to talk to a lawyer. The consultation's free. We're not going to twist your arm. We're not going to tell anybody about your ticket. I don't care if you're 16 years old and just got your driver's license, or 106 years old trying to keep your driver's license. We enjoy doing traffic law. It's intellectually stimulating, probably because of its complexity. We end up fixing a lot of problems because people have tried to do it themselves. I guess you can do that. You can also give yourself your own haircut and pull your own teeth if you want. It doesn't always work out. Give us a call. It doesn't cost you anything, and we'd love to help you and give you information. If we can't help you, we'd be more than willing to give you a name, someone else to give a call. I look forward to hearing from you. Number's (704)342-HELP. That's (704)342-4357. Talk to you soon.